Blood Debt is the first book in the Touched Series by Nancy Straight. I loved this book! LOVED it! From the very beginning I was glued to this world of Centaurs, forbidden loves, and mythology. The story brought mythological creatures to present day and made them feel very real and believable. The character and story building was flawless. I felt like I became a part of Camille's life while reading. The romances were sweet and they were also dramatic in a sense, but not in a bad way. There were unexpected twists and moments of pure shock! I love when a book surprises me. The Centaurs feel very strongly and that crossed over to the reader. They really brought out your emotions. From extreme anger to sadness to happiness and love and back again. Blood Debt had me giggling and crying and sometimes both on the same page! 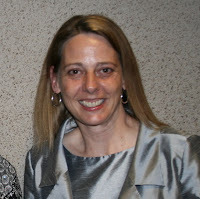 Nancy Straight has a new fan! 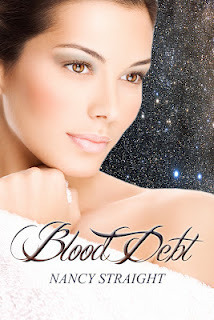 Blood Debt by Nancy Straight was provided to me by the Incandescent Enchantments for review. The opinions are my own. To learn more about Nancy Straight and her books, visit her blog.You can also find her on Goodreads, Facebook and Twitter. Thanks so much for being a part of the Blood Debt tour!! I'm thrilled you enjoyed Blood Debt!! Centaur Legacy (Book 2) was released in Nov and Centaur Rivalry (Book 3) releases on TUESDAY! !